I really enjoyed this unique and charming romance! When a reality television actress finds herself in a Kentucky Amish inn, an unexpected journey of self-discovery begins for both Annie and Hunter. 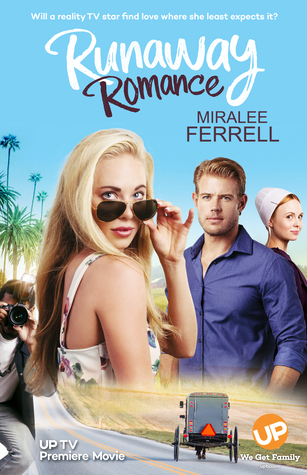 Runaway Romance is a cleverly crafted story and sure to be a delightful TV movie! Runaway Romance premieres on UP TV on Sunday, January 7 at 7 pm ET and will air again at the same time on Sunday, January 14. UP TV is available through the following providers. I received a complimentary copy of this e-book. No review was required, and all thoughts expressed are my own.